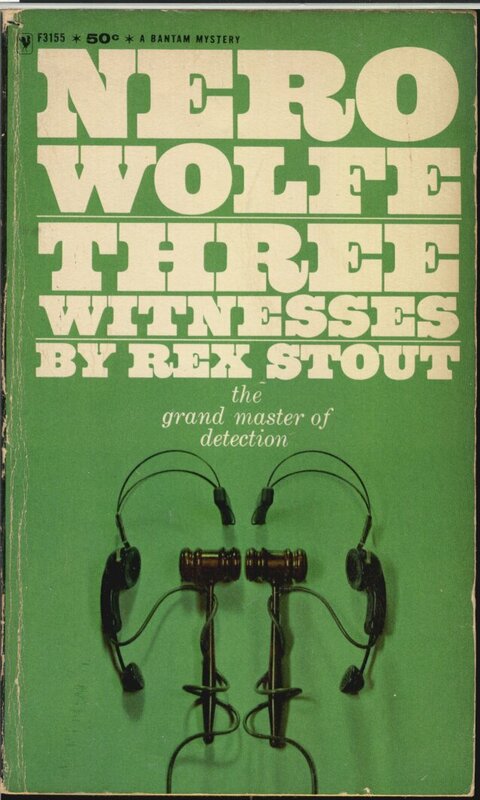 THE NEXT WITNESS was Nero Wolfe himself! 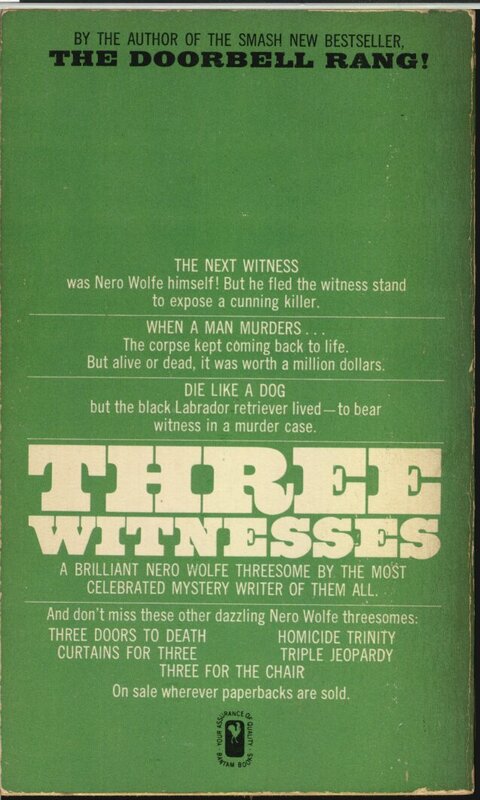 But he fled the witness stand to expose a cunning killer. WHEN A MAN MURDERS… The corpse kept coming back to life. But alive or dead, it was worth a million dollars. DIE LIKE A DOG but the black Labrador retriever lived – to bear witness in a murder case.